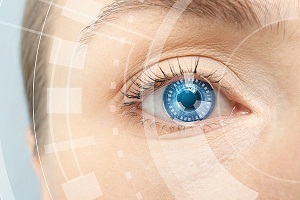 Welcome to DiseaseFix Section for Retinal Detachment. The function of retina is to convert the image to signals and send visual messages to the brain through the optic nerve. The retina is a light-sensitive layer of tissue which lines at the back of the eye and works with the cornea, lens, and other parts of the eye and brain to create the image. /> Retinal detachment is a condition in which the retina which is supposed to be a thin layer of the tissue present at the back of the eye is pulled away from its normal position. This results in vision loss either partially or totally. In retinal detachment, the retinal cells are detached from the layer of blood vessels that provide oxygen and nourishment. Rhegmatogenous: Fluid gets under the retina through a small hole and separates it from the retinal pigment epithelium (RPE- the pigmented cell layer that nourishes the retina). Tractional : Scar tissue on the retina's surface contracts during tractional retinal detachment which causes the retina to separate from the RPE. Exudative: Fluid leaks into the area underneath the retina without any tears or breaks in the retina. This is caused by inflammatory disorders, coat’s disease, or any injury/trauma to the eye. Generally, in all cases, surgery is an obvious treatment option. Photocoagulation, scleral buckling, cryopexy, retinopexy, vitrectomy, etc are common procedures to treat a detached retina. Ophthalmologists suggest the treatment according to the severity of the condition. For more information, check out Articles and Graphics below related to Retinal Detachment. Hope you enjoy the experience with DiseaseFix! The retina is a thin layer of tissue that lines the back wall of the eye. It is responsible for absorbing light and converting it into a signal sent to the brain. A retinal detachment is serious eye condition which involves separation of the retina from its attachments to the underlying tissues. Your retina is the light-sensitive layer of tissue that lines the inside of your eye. It sends visual messages through the optic nerve to the brain. 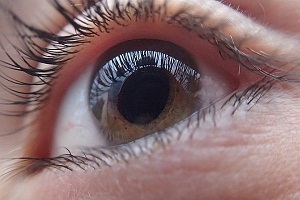 When the retina detaches, it is lifted from its normal position. This can lead to retinal detachment, if not treated, causing even permanent loss of vision. 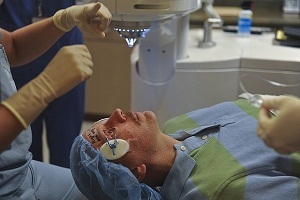 Vitrectomy operation is 90% effective in curing problems of the eye. Eye vitrectomy is recommended to treat problems such as retinal detachment, macular degeneration, scarring of tissues, etc. The recovery time is estimated to be about 5 weeks. In the procedure, the infected vitreous humor gel is removed and replaced with saline water, gas bubble or silicone oil. 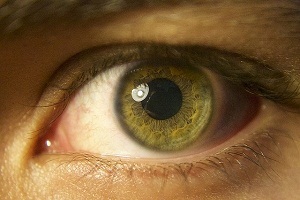 The retina is a light-sensitive region of eye that lines the back of the eye. Its thickness is only 0.2 mm and its size is about the size of a dollar. There is a wide variety of retina problems which if not treated soon can lead to complications and even a loss of the vision.